Nothing beats the power of professional education when it comes to advancing your career. Our graduates have used their credentials to leap forward and make sweeping changes in their lives. Chris Sticher, for example, found himself in need of a new career when his company changed strategic focus. Earning the Project Management Certificate enabled him to forge a new path and weather the changes in his organization. Tania Allen, an IT professional who had taken several years off to raise her family, used her new credential to re-enter the workforce. 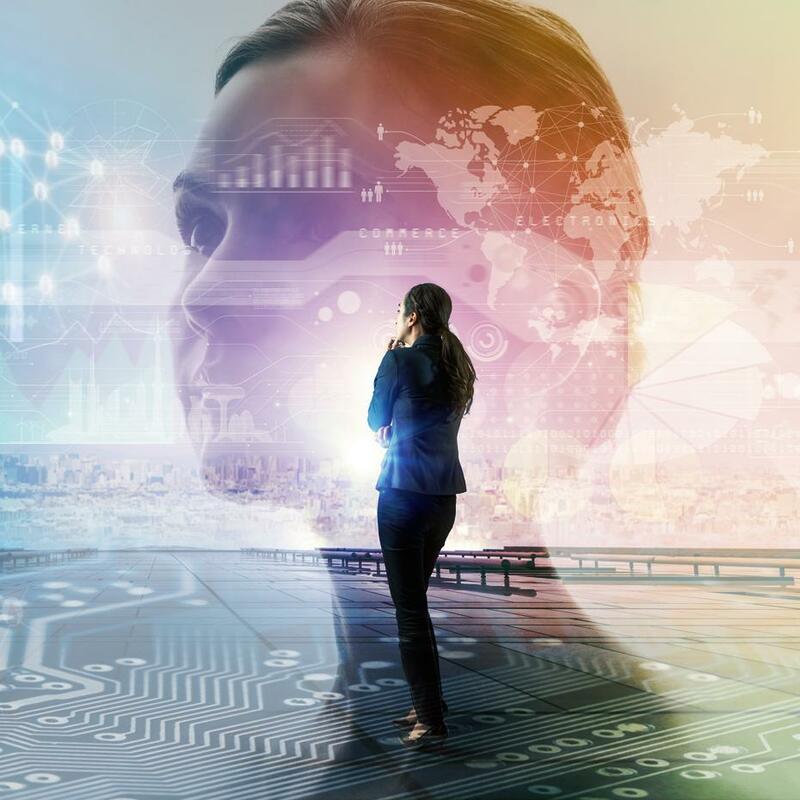 After completing the Cyber Security Certificate program, she launched her own IT consulting practice. 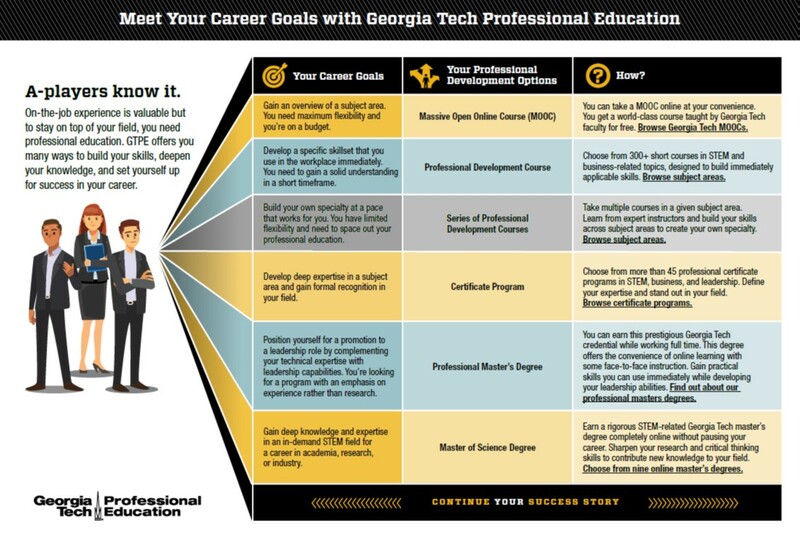 GTPE is your opportunity to earn a prestigious Georgia Tech credential while working. We offer many options, so you can choose the learning pathway that works best for you. Start with a foundational professional development course and build up to a top-ranked STEM master’s degree. Hone in on specific skill sets with short courses, or gain in-depth expertise in a high-demand subject area by taking a certificate program. Here are some examples of credential-building pathways in project management, systems engineering, and occupational safety and health (OSH). These example pathways show that it’s possible for an early career professional to start with a foundational course and gradually build skills and knowledge to reach expert level. Depending on your career goals, a professional certificate program may be the ultimate destination. Or, if you’re aiming to complement your technical skills with leadership capabilities, a professional master’s degree could be the answer. The example pathways are mere suggestions and that other options or combinations exist. It’s important to find the right one for you. For example, Rick Givens, who is the first GTPE learner to earn all OSH certificates offered followed a combination of the two suggested OSH pathways to build his skills and credentials in ways that made sense for his career path and his schedule. When planning your credential pathway, consider your career goals and your availability. If you merely want to explore a subject area before committing time, effort, and funds to a full program, take a massive open online course (MOOC). GTPE offers MOOCs in STEM and special interest subjects, which are available to the public for free. 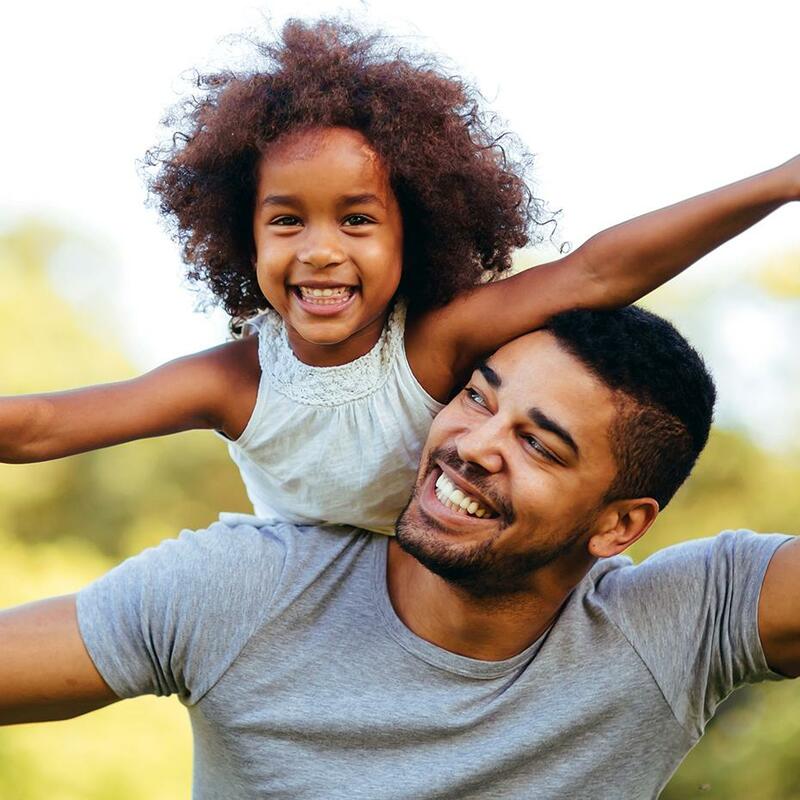 They’re online, and you can take them in your own time for maximum flexibility. If you’re ready to commit for a short period of time to gain immediately useable skills, a short course is your best option. When you can dedicate longer periods of time to build deep expertise, choose a certificate program in your field. Time for a graduate degree? A professional master’s program is an option if you’re ready for a long-term commitment, want an experience-focused graduate degree, and you meet the prerequisites. Georgia Tech’s professional master’s degrees require short periods of time on campus at specific points during the two-year program but are mainly online. If you’re looking for a traditional master’s program that you can take completely online, Georgia Tech offers nine Master of Science programs to set you on a path for a career in academia, research, or industry. What are your goals? Where do you want to go next? Consider these questions and then choose an option to move your career forward in 2018. Our guide will help you match your goals with a professional development option that works for you.